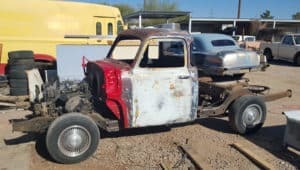 There are a lot of reasons why you may be considering a chassis / body swap for your classic car, truck or custom. We are not here to ask why, but will hopefully point out areas that should be considered and thought through before you fire up your cutting torch. Bear in mind, this is general chassis / body swap information and applies to any vehicle build or project that involves placing the body of one vehicle on a chassis from another vehicle; one that it was not originally manufactured for. There are several chassis / body swaps referenced in this article below, each of which demonstrates how a complete chassis / body swap can be accomplished by regular Joes. 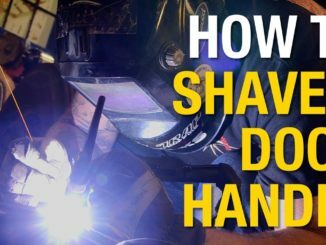 If you (or your project helpers) are capable of basic fabrication and welding and have decent automotive skills, know-how and understanding, you can do this. Think first and be aware of the cautions below, whether you are doing your body swap in the backyard with several buddies, or in a well equipped space with a lift, etc. First and foremost: Find a swap that suits your skills. There are many ways to accomplish any given build or swap. Be creative, but be realistic. Some well planned swaps can be done in a weekend. Others can be quite complicated and present you with unexpected challenges. Make custom body (or motor) mounts? Shorten or Lengthen the chassis? Shorten the body (or truck bed)? Grab a handy-dandy note book and a good tape measure (smartphones apps). Measure both vehicles: wheelbase, track width(s), frame width(s), frame length(s), overall shape; the “rises” and “dips” in the chassis rail, engine compartment and firewall clearances, fuel tank locations, etc. Get basic clearances from the donor car. If you are slammin’ your ride, you’ll need to consider wheel, tire size and fender fitment. We have a Wheel, Tire and Fender Fitment Calculator specifically designed to help with fender clearance, wheelwell clearance, suspension clearance, scrub radius and more. Play devil’s advocate: Determine what challenges the project will present that you don’t have a solution for. 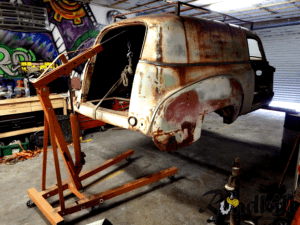 Look at every detail or anything that may cause you to reconsider your chassis / body swap project — If it never gets completed and driven, it will added to an already long list of dormant projects, an essentially worthless pile of parts. Paramount when considering a chassis / body swap is the wheelbase measurement of both vehicles. It should be as close to identical as possible. Several millimeters are usually negligible, but little else takes away from a ride as much as tires not centered or properly placed in the wheel wells. Out of placement wheels are very noticeable, especially on lowered vehicles, and it makes the build feel half-assed. Don’t be that guy. It can be difficult to find a chassis / swap donor that is largely going to be natural fit (with minor modifications) in terms of wheelbase, track-width, etc. We put together the Chassis Swap Donor Vehicle Search to help you identify potential donor vehicles. For disparate wheelbase swaps, consider another chassis for the swap, or consider adding a section to the body, to compensate. If you are swapping a pick up onto your chassis, it’s easy to add or remove a section of the bed. In a perfect world, you’ll leave the chassis exactly as it was designed — it is one of the true values of a chassis / body swap. You may need to build custom body . We do not generally recommend lengthening or shortening a frame in the center by adding or removing sections unless you are doing a custom. Narrowing a chassis may make sense in particular projects, however. If you are set on a particular mismatched swap, or you simply want to “make it work”, ensure you are fully aware of what’s involved including the skills required, tools, knowledge and time. As with everything, you’ll need more space than you need to reasonably complete a chassis / body swap, especially if you are doing in a day or over a weekend. 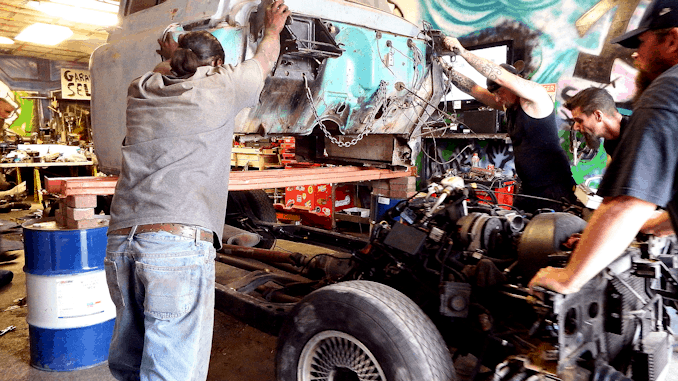 When the two vehicles start coming apart to fully stripped, you’ll find that you’ll produce a lot of debris and leftover and unnecessary parts to scrap, that you can’t just put in the trash, or take to the dump. 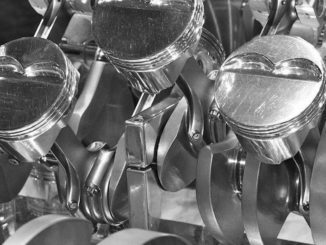 A Note on Performance: A proper chassis / body swap will include freshening the donor; bearings, brakes, shocks, fluids, plugs, wires, etc. Assuming this has been done, coupled with the weight reduction (in most cases, especially truck builds) of a body swap, these hybrid vehicles perform quite nicely simply due to power-to-weight ratio. This means they also stop well too. Get your project running first, put it through it’s paces, then decide if there are any further modifications you want to make. We like the 4th Generation (1991-1996) B-Body chassis. At 115.9 inches it’s a great candidate for many 116 inch 40s, 50s, and 60s vehicles. 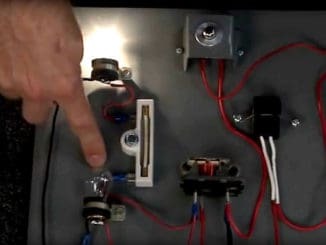 When customizing the B-Body platform with air bags for example, you’ll find pre-configured, tried-and-true kits ready to install, and far more affordable that building a setup from scratch. Also, when using a late-model donor car or truck for your resulting vehicle, you’ll find that parts will be readily available, common (in-stock) and most often, far more affordable than other options. As the donor car comes apart, we can not stress enough the importance of BAGGING, TAGGING and MARKING EVERYTHING you take apart. Have plenty of zip-lock freezer bags (freezer bags are stronger and have a label section for marking clearly), masking tape and sharpies on hand. Zip ties and electrical tape can also be handy to keep the harness managed in sections as it comes out of the donor. Don’t cut the harness: Take the time to remove the harness whole. It went in whole, after all. Separate sections as need and to keep the bundle to a minimum. For example, remove the rear-door harness sections, bag and tag them and get them out of the way as soon as the come out of the doors (most harnesses will have locking clips to remove sections of the harness. 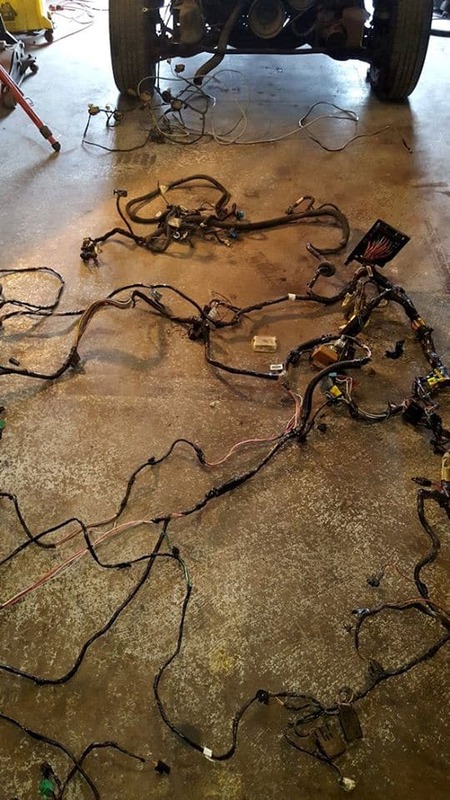 If you get the harness out whole, and largely put it back in whole, odds are you’re going to fire your project up first try. The body mounts of both vehicles, and the “perches” for the body mounts on the two vehicles’ chassis’ are important. How different they are, will decide how difficult your swap will be. You will have to make custom body mounts from scratch, or adapt ones from another application. You sure don’t want to build a custom car or truck only to discover that you’ll never be able to register it. Do your research, consider every factor, and every aspect of any given swap long before you begin. Don’t rush, take your time. You’ll be amazed at what is possible. How Much Does a Chassis / Body Swap Cost? You’re looking for a solid vehicle. The drive-train is unimportant and if it’s missing, should help get the buy price down. Look at the glass, door hinges, latches, hood, trunk. Does everything basically function? As with anything, you can spend as much as you like. This roughly $800 purchase price, in our experience, is about as low as you’ll get under normal circumstances. Again, you’re looking for a solid vehicle (not body and interior – solid chassis and drive-train) that runs. Our favorite finds were decent cars with often < 100K miles that had been in a minor wreck. Don’t worry if its tired, once you have the body off, swapping consumables like bearings, brake rotors and pads, fluids, etc is a breeze. If you are on a budget, buy a car that runs, where essentially everything functions. If you’re automotive handy, you can also pick up a blown motor car for a couple hundred bucks and drop a fresh long-block in it for $1,500 +/-. Again, you can spend as much as you like, but under normal circumstances, your bottom end on a solid running donor will be roughly $800. 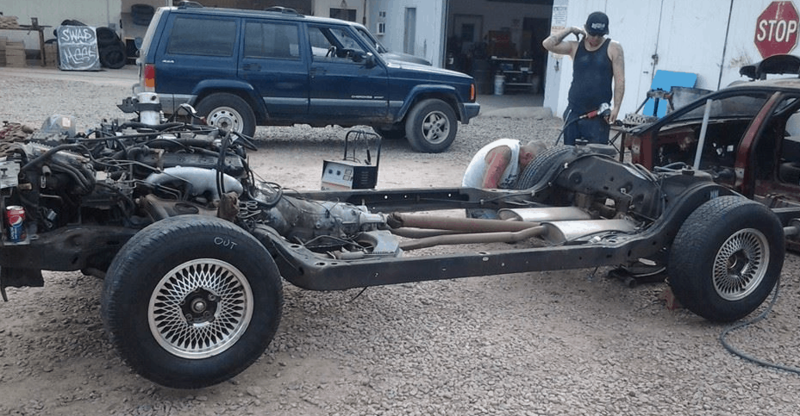 Our goal with most of these swaps is to as much as possible use parts and resources from both donors to solve all of the problems of getting the two vehicles to become one. There will be some adapters and fittings and miscellaneous items that will need to be purchased. 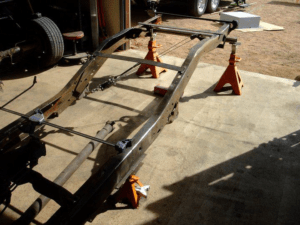 Figure $2,000 – $2,500 as the bottom (realistic) line to acquire a complete body donor (less drive-train) and running chassis donor + the miscellaneous parts and supplies and come away with a running, driving chassis body swap.